Concern is growing over widespread plastic waste that is threatening marine life – with conservative yearly estimates of $13 billion in financial damage to marine ecosystems, according to two reports issued at the inaugural meeting of the United Nations Environment Assembly. 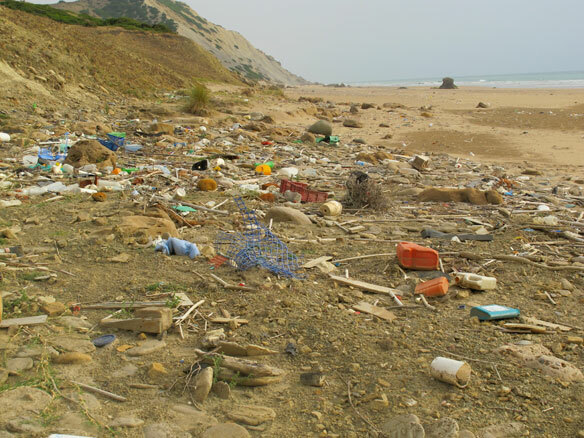 “Plastic contamination threatens marine life, tourism, fisheries and businesses,” underscores the eleventh edition of the UN Environment Programme (UNEP) Year Book, which updates 10 issues previously highlighted over the past decade and provides mitigation steps for each. “Plastics undoubtedly play a crucial role in modern life, but the environmental impacts of the way we use them cannot be ignored,” added Achim Steiner, UNEP Executive Director. Valuing Plastic, a UNEP-supported report produced by the Plastic Disclosure Project (PDP) and Trucost, makes the business case for managing and disclosing plastic use in the consumer goods industry. Calculating the negative financial impact of issues, such as marine environment or air pollution caused by incinerating plastic, the report reveals that the overall natural capital cost in the consumer goods sector each year is $75 billion. “These reports show that reducing, recycling and redesigning products that use plastics can bring multiple green economy benefits: from reducing economic damage to marine ecosystems and the tourism and fisheries industries – vital for many developing countries – to bringing savings and opportunities for innovation to companies while reducing reputational risks,” advocated Mr. Steiner. 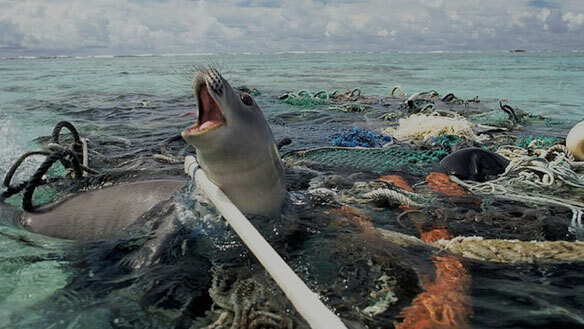 There have been many reliable reports of environmental damage due to plastic waste that include mortality or illness when ingested by sea creatures such as turtles; entanglement of animals, such as dolphins and whales; and damage to critical habitats, such as coral reefs. There are also concerns about chemical contamination, invasive species spread by plastic fragments and economic damage to the fishing and tourism industries in many countries by, for example, fouling fishing equipment and polluting beaches. 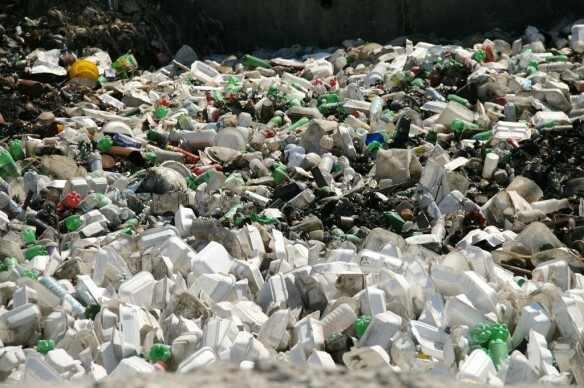 Since the 2011 UNEP Year Book last reviewed plastic waste in the ocean, concern has grown over microplastics (particles up to 5 mm in diameter, either manufactured or created when plastic fragments), which have been ingested by marine organisms – including seabirds, fish, mussels, worms and zooplankton. Communities of microbes have been discovered thriving on microplastics at multiple locations in the North Atlantic – where the “plastisphere” can facilitate the transport of harmful microbes, pathogens and algal species. Valuing Plastic finds that while consumer goods companies currently save $4 billion each year through good plastic management, such as recycling, plastic use disclosure is poor. Less than half of the 100 companies assessed reported any data relevant to plastic. Initiatives such as the PDP and UNEP-led Global Partnership on Marine Litter have helped raise awareness of, and begun to address, the issue. However, much more needs to be done. Recommendations of the reports include that companies monitor their plastic use and publish the results in annual reports; and commit to reducing the environmental impact of plastic through clear targets, deadlines and efficiency and recycling innovations. “By putting a financial value on impacts – such as plastic waste – companies can further integrate effective environmental management into mainstream businesses,” asserted Trucost Chief Executive Richard Mattison. “The unprecedented plastic waste tide plaguing our oceans and shores, can become as limited as our chosen relationship with plastics, which involves a dramatic behavioral change on our part…” —Coastal Care.